England’s Lily May Humphreys, Annabell Fuller, Conor Gough and Barclay Brown are golf’s European Young Masters. Humphreys led the way to the team success with a personal triumph, becoming the first English player to win the girls’ championship. Her success, in the European Young Masters at Oslo Golf Club, Norway, books her a place in the Asia-Pacific Junior Championship in Hong Kong at the end of August. The 15-year-old from Stoke by Nayland, Essex, was two-under for the championship and won by a stroke after returning one-under 71 in the final round. Fuller, also 15, (Roehampton, Surrey) was third in the girls’ championship, closing with four-under 68, the best score of the final round, to finish on level par. In the boys’ championship, Conor Gough, from Stoke Park, Buckinghamshire, finished seventh on five-under, while Barclay Brown (Hallamshire, Yorkshire) was 14th on one-over, also finishing with four-under par 68. 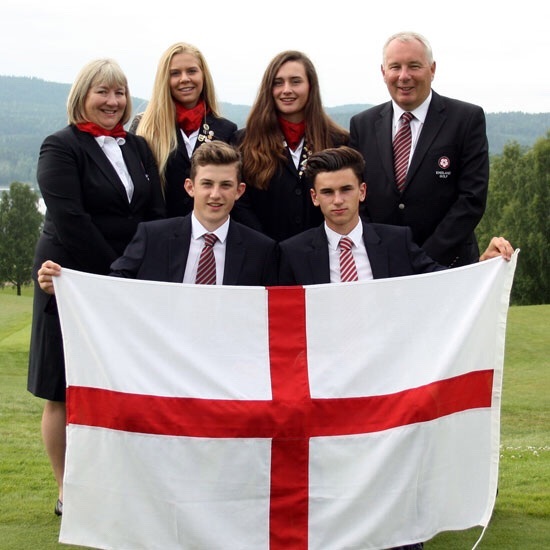 Their play underlines England’s current dominance in Europe, for they add their titles to the European amateur championship won at the start of this month by Alfie Plant (Sundridge Park, Kent) and the European women’s team title, won two weeks ago. This is England’s first team victory since 2013 and they finished on 12-under, beating Norway by five shots, while Italy took third place, two shots further back. Humphreys is enjoying terrific form, having just become one of the youngest-ever winners of the English women’s amateur. She started the final round one shot off the lead and quickly staked her claim to the title with birdies on the second and third. But on the fourth she had a shank on the way to a double bogey and dropped another shot on the fifth. “I just got on with it afterwards and recovered pretty well,” said Humphreys, who played the remaining holes in two-under par, helped by holing a couple of long putts. She wasn’t sure of the scores when she came off the course but as soon as she was certain she’d secured the title she ran off to support Gough. “The team win is a big bonus. The four of us get on really well and this is really good,” she said. Fuller’s final round included five birdies and just one dropped shot. Gough was level par today and Brown mirrored Fuller with five birdies and a bogey in his 68.